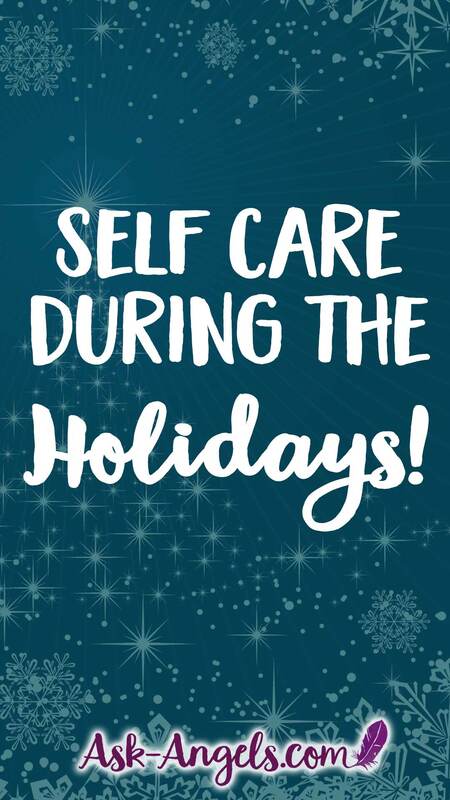 9 Self Care Practices for the Holiday Season! For many, this time of year also brings up a great deal of stress, loneliness, painful memories, feelings of loss, and even self-judgment for not feeling “cheerful” or for not measuring up to self-imposed expectations. Essentially… Even when you have the best of intentions, the holidays can be quite the recipe for feeling stressed, burnout and run down! The good news is… It doesn’t have to be this way! It’s powerful to take a step back at look at things from a new perspective. Sometimes a little shift in perspective is all that’s actually needed to help transform the holidays from a hectic or challenging time, into one that can truly be loved and enjoyed in the most positive light. Let your main focus this Christmas be about cultivating loving moments with friends and family, shining your authentic light, and embodying Christ Consciousness through all you do! And to do that… Be sure to prioritize taking care of you! 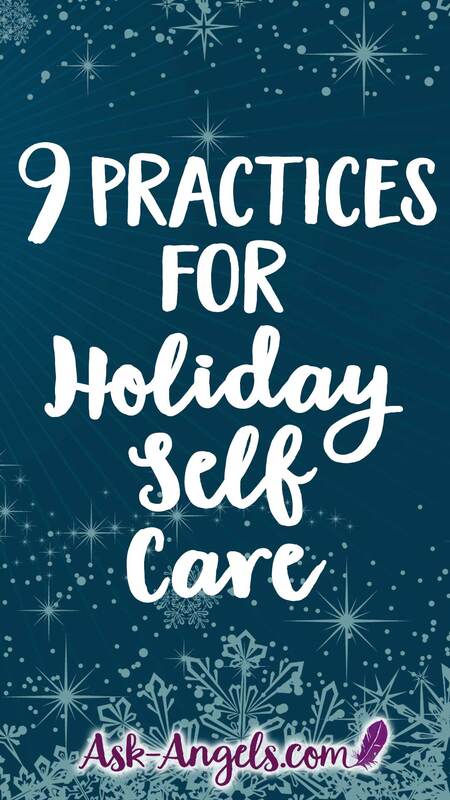 Here are 9 Practices for Stepping Up Your Self-Care This Holiday Season! Cultivating gratitude is huge. When you consciously choose to focus your mind and attention on what you’re thankful for, you not only change your point of attraction, and raise your vibration… But you tend to feel so much better too! Ask yourself the question: “What all am I grateful for?” … Let yourself really ponder this, and write down a long list of the many things you’re grateful for, both big and small! Also, make it a point to do a Rampage of Appreciation very regularly and especially any time you’re feeling a bit off, down, or stressed! If you feel like you don’t have time to meditate, shift your perspective to see that really, you don’t have time not to! Meditation is another one of those scientifically proven things that boost your immune system, decrease your stress level, and boost your happiness. So don’t be tempted to skip it just because you’re busy! Even if it’s just for 10 minutes at the start of your day, taking the time to center your energy, clear your thoughts, and fill yourself up with light will work wonders for helping you to stay balanced, positive, and able to overflow love towards those you care about… Because you’ve taken the time to fill yourself up with love and light! Make it a priority to get some exercise and do something that energizes your body and circulates your energy! Whatever form of physical exercise you enjoy… Recognize how much better you’ll feel if you take the time to do it for you! Exercise has been proven to de-stress and uplift your mood… So whether that’s going for a walk, taking a yoga class, hitting the gym, or jumping on a rebounder (my new favorite daily movement)… Remember that exercise is a key part of self-care, and when you make the time for it, you’ll feel so much better on both the level of your body, mind and spirit! 4. Make Sure You’re Getting A Good Night’s Sleep! The Holiday Season sure has a way of messing with people’s sleep schedules… Whether that’s due to late night parties and drinking, eating sugary, fatty or chocolatey foods, or just lying awake at night thinking because you have so much going on! Recognize the importance of a good night’s sleep for your mental, physical and emotional health, and make getting it one of your top priorities! Put on a meditation when you lay down to sleep to help you relax… Make it a point to cut back on caffeine and skip it all together late in the day… Avoid hitting the treats and leftovers before bed… Do your best to skip napping if you’re having trouble sleeping at night. And if you are feeling tired mid-day, go for a walk or get some exercise rather than taking a nap, so you can get a full night’s sleep and wake up each morning feeling recharged and refreshed. The Holiday season has a way of bringing up all sorts of challenging emotions for people… Which as humans we generally try to hide and avoid! Recognize this, and let it be okay to feel, knowing that emotions are coming up for you to honor, heal, and release. Pay attention, and observe the root of the emotion. Are you angry with your partner because you feel unsupported with holiday preparations? Are you grieving the loss of a family member or friend? Awareness is key because the more aware you are, the less toxic and challenging your emotions become. You’re able to stop the spiral of emotion, love the part of you that is triggered… And heal, release, integrate or let go. Learn a simple process for powerful emotional healing here! The holiday season can definitely feel like a whirlwind of activity… And if you’re not conscious, its easy to get swept up in it and carried away. Be sure you enjoy it by consciously cultivating presence in the moment. For example, if you’re making Christmas Dinner, allow yourself the gift of being fully present there in that moment cooking. Let go of replaying what did or didn’t happen in the past, and release any worry or uncertainty about the future. So whether than worrying about whether people will like what you’re making, or wondering how the rest of the night will unfold. Be present cooking! Relish the smells and sounds and enjoy the moment you’re in. Then when its time to eat, savor that moment… Staying fully present, aware and centered in the moment that is here and now. An additional layer of staying present in the moment is letting go of unrealistic expectations of how things should be, look or feel… And rather, choose to simply enjoy things as they are! Christmas especially has so much media programming around it about how the perfect holiday should be… Let go of expectations and matrix programming about how Christmas should be… And you’ll open yourself up to find joy and gratitude for the blessings in your life that are. The Holiday’s are known to be one of those times when eating healthy goes out the window… And I’m not suggesting you need to skip all of the delicious holiday treats… But do honor your body and cultivate a healthy sense of balance between all the holiday sweets and treats, and making deliberate healthy food choices that nurture your physical body. Check in with yourself as to whether you’re actually hungry or if you’re snacking due to stress… Or monitor how your body actually feels before reaching for that next glass of wine, and consider mixing in a glass of water instead. The key here is to find and cultivate the balance between treating yourself to your favorite holiday food and drinks, and respecting your body and making choices that are healthy for your mind, body and spirit. Do you have a tendency to over-commit yourself during the holidays? Are you trying to please everyone? Remember that running yourself to exhaustion doesn’t serve you and ultimately doesn’t serve anyone… If you’re feeling overwhelmed with all you have coming up or going on, make it a point to tune in and ask yourself which activities, parties, and relationships are your priority this holiday season. Which of these will truly uplift you and add value to your life, and which can you skip or let go of? Give yourself permission to say no, and to have some down time to just relax and allow the holiday magic to authentically unfold rather than scheduling your every moment. If you are finding yourself super busy… Be sure to schedule in some time that’s just for you to decompress, center your energy and recharge. Remember that when you love and take care of yourself, you’ll have so much more energy to overflow towards others.